BURGERS AND BUDAPEST DO GO HAND IN HAND, AND THIS IS A SENTENCE THAT MIGHT HAVE SOUNDED PRETENTIOUS EVEN A DECADE AGO. BUDAPEST MIGHT NOT BE KNOWN FOR ITS BURGERS, AND MOST FOREIGN VISITORS DO LOVE HUNGARIAN CUISINE, HOWEVER, WITH THE EMERGENCE OF INTERNATIONAL HANDCRAFTED FOOD CULTURE, THE CAPITAL CITY HAS A LOT TO OFFER! NAMED AFTER ITS ADDRESS, WESSELÉNYI STREET 35, W35 HAS GROWN TO BE ONE OF THE LEADING BURGER PLACES OF THE EMERGING PARTY DISTRICT OF BUDAPEST. THEIR BURGERS ARE KNOWN FOR THEIR DELICIOUS SPECIAL SAUCE, WHICH IS A CAREFULLY GUARDED SECRET. COME HERE FOR A QUICK BITE AND YOU’LL NEVER BE DISAPPOINTED! ALSO, DO NOTE, THIS IS AWFULLY CLOSE TO WHERE OUR PUBCRAWLS USUALLY GO! THIS ONE IS A BIT FARTHER AWAY FROM THE USUALY PUB CRAWL TARGETS. SET ON THE BUDA SIDE OF THE DANUBE, FINOMÍTÓ IS MOSTLY FREQUENTED BY LOCALS. TAKE METRO LINE TWO, AND AFTER A SHORT RIDE YOU’LL SEE WHY IT’S WORTH TO PAY A VISIT TO FINOMÍTÓ! AMAZING BURGERS WITH PERFECTLY MADE SIDE POTATOES. MUST TASTE! YET ANOTHER BURGER JOINT CLOSE TO OUR USUAL PUB CRAWL BUDAPEST ROUTE! THE NAME IS PRETTY SELF EXPLANATORY, COME HERE FOR A QUICK BEER AND BURGER BEFORE OR AFTER YOU HEAD OUT TO EXPLORE BUDAPEST’S AWESOME PARTY DISTRICT! 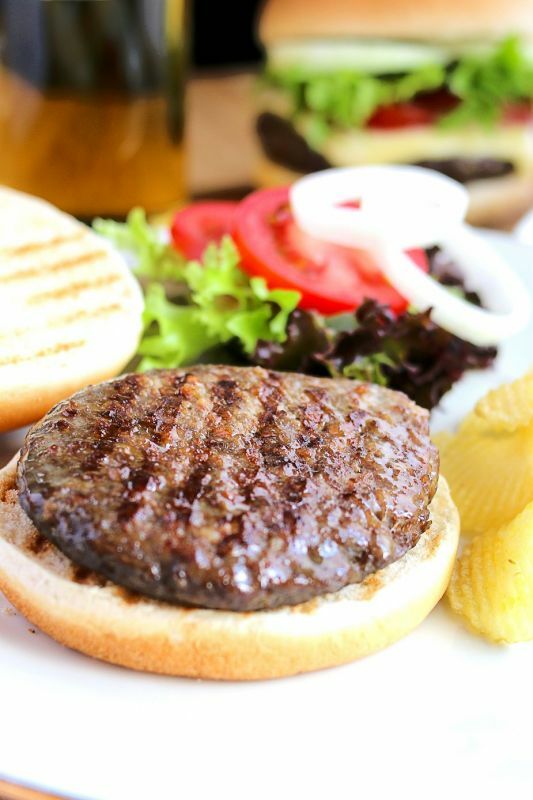 THEIR AMERICAN STYLED BURGERS ARE MEGA-SIZED, SO BRING A HEALTHY APPETITE! KANDALLÓ KERT (LOOSELY TRANSLATED AS FIREPLACE GARDEN) IS A SEASONAL PLACE, MEANING THEY ONLY OPEN AT THE END OF APRIL - AFTER ALL THIS IS AN ACTUAL GARDEN, YOU SEE. SET IN THE POPULAR KLAUZÁL SQUARE AREA, KANDALLÓ IS A GREAT LITTLE BURGER GARDEN WITH FINE CRAFT BEER AND HEARTY FOOD! DO TRY THE GOAT CHEESE BURGER!